T. Swift – Get it Gurllll! Fun fact about me: I love Taylor Swift. I think she puts on incredible performances, and always has innovative ways to get the crowd involved and excited for her show (those synchronized light up wristbands were awesome)!! I also love how she really transitioned from full on country to country/pop, to now being more of a pop artist! The evolution has been crazy. Clearly, I’m not the only one who loves this talented artist…the rest of the world does too! 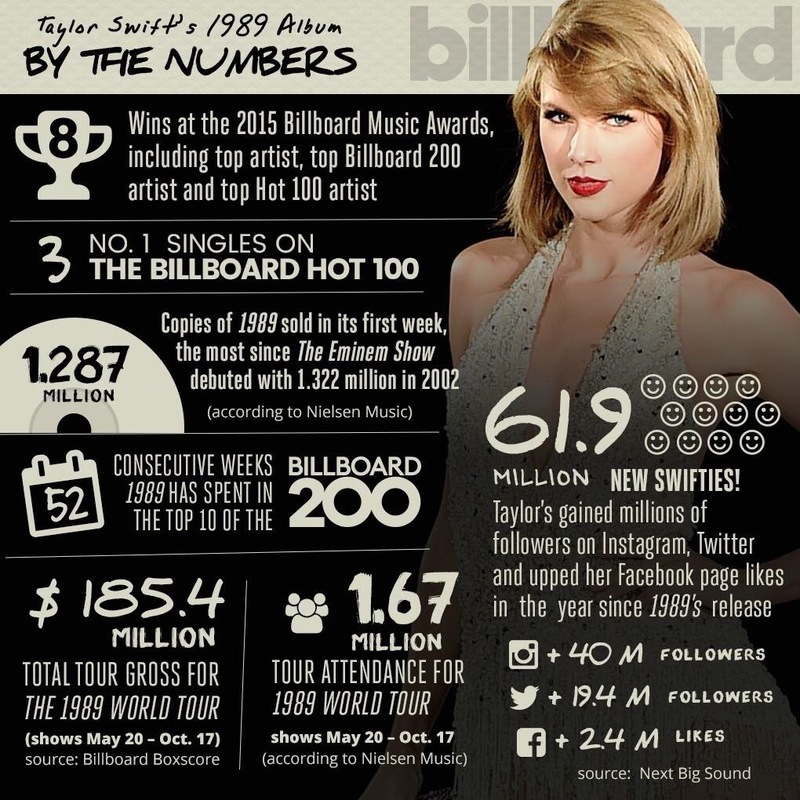 I came across this infographic today (courtesy of billboard.com) and thought I would share it with all of you! Keep on getting it Tay Tay! Next Post It’s the Little Things ..